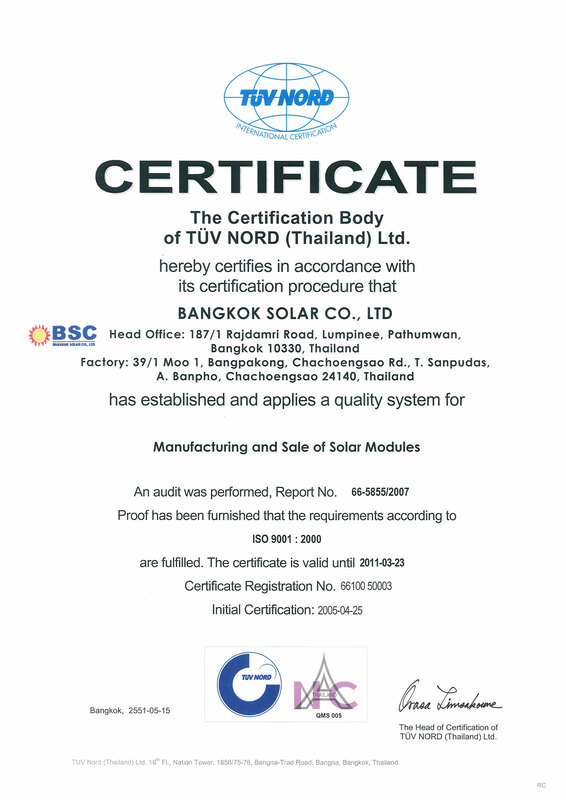 PV modules can be supplied for different kinds of applications i.e. from small stand alone systems to large scale grid-connected solar power plants, from ground to roof installation or Building Integrated Photovoltaic (BIPV). 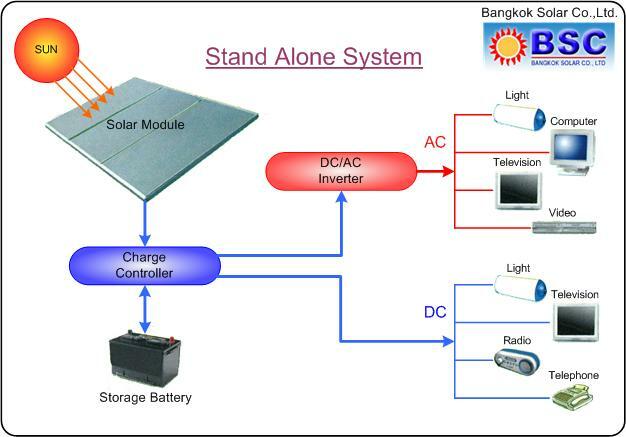 "Applications for Modules are as limitless as a user's imagination"
Stand alone solar power system is suitable for an application in remote area, which is located far away from utility grid. Solar modules generate DC electricity and store it in batteries for using in night time. Solar House (Rooftop and Ground Mount). 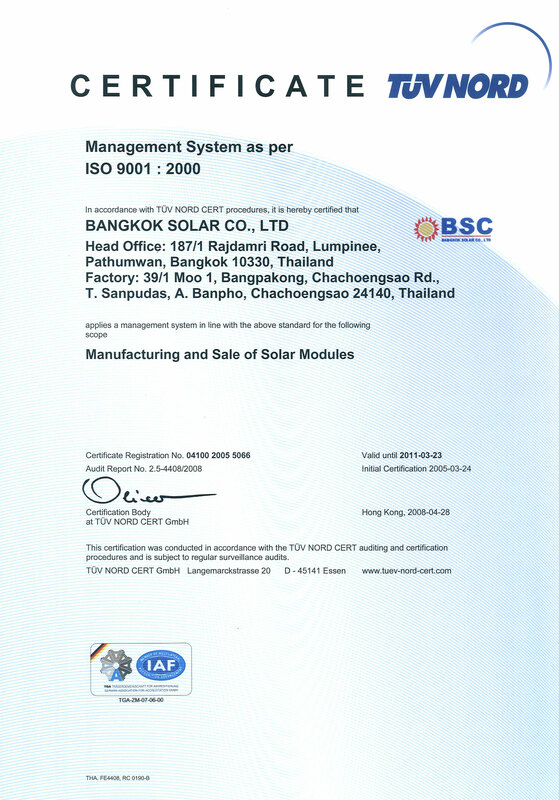 Others (Solar Power for Telecommunication Systems, Solar Charger, Solar Car, etc.). 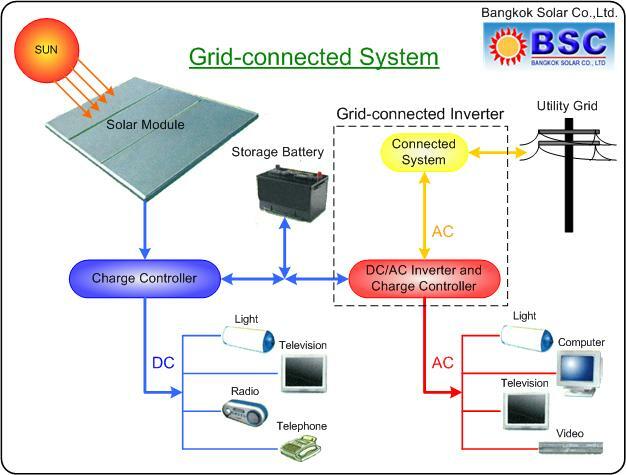 Grid-connected solar power system is a solar cell application that interacts with utility grid. DC electricity is generated from solar modules and transformed to AC by an inverter. AC electricity is consumed by AC home appliances. In addition, if there is an excess energy for home-used, that energy will be sold back to the utility. Grid-Interactive Only (No battery backup).